Description: This important new study examines in detail a semantic-pragmatic pattern surrounding the basic verb 'acquire' in nearly 30 Southeast Asian languages, concentrating on Lao, Vietnamese, Khmer, Kmhmu, Hmong, and varieties of Chinese. 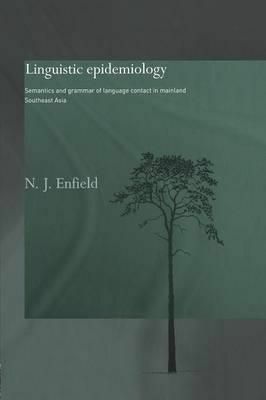 The book makes a significant contribution to empirical work on semantic and grammatical change in a linguistic area, as well as representing theoretical advances in cognitive semantics. Gricean pragmatics, semantic change, grammaticalization, language contact, and areal linguistics. The book also examines how changes in the speech of individuals actually become changes in large-scale public convention, 'language contact' is reconsidered, and traditional distinctions such as that between 'internal' and 'external' linguistic mechanisms are challenged. This groundbreaking new book is for specialists in Southeast Asian linguistics as well as scholars of descriptive semantics and pragmatics, grammaticalisation, linguistic change and evolution, areal linguistics and language contact, history and linguistic anthropology.